For the longest time, business owners and even the search engines have ignored the mobile web. But all this finally changed when Google threatened to drop the ranking on websites that did not have responsive design. Truthfully, Google said that they are going to lower the rankings of any websites that are not mobile friendly. And since responsive websites are certainly mobile friendly and are the perfect way to make sure that your website is easily visible on all devices including smart phones, iPads, iPhones, tablets, laptops and anything else that you could think of, it only makes sense to tap into responsive websites and responsive design in order to stay in compliance with Google. Why Is Google so Focused on Responsive Websites? As you know, the way people view the World Wide Web has changed throughout the years. At one time, the only way to access the Internet was through a personal computer of some type – i.e. a computer with Windows or a Macintosh. But in today’s society, everything is so different. The majority of the people accessing the Internet are doing so through mobile devices. More people are looking for information on the Google search engines through smart phones than ever before. So it makes the most sense that Google would focus on making sure that their search results provide responsive websites to those using mobile devices. 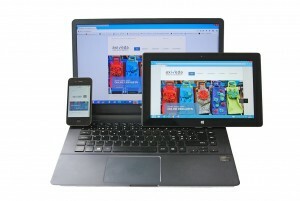 Are you starting to see the value of responsive design? Are you starting to finally realize why Google is so focused on making sure that they have responsive websites in their search results? If you’re struggling to get your website up to code with responsive design, we would love to help. We do not want to see you drop in the search engine rankings, and even more importantly, we want you to take advantage of all of the traffic visiting your site. Call Top Website Design Gold Coast to schedule a free consultation so we can figure out how to move forward with your responsive websites. The advantages of these websites are numerous. Responsive design is about much more than just pleasing Google in order to attain high search engine rankings, although this is one hell of the bonus. Flexibility – the best part about responsive websites is that they are incredibly flexible. This means that they will adapt to all screen resolutions. This flexibility ensures that your website can be viewed correctly across all devices, and as you can see this is clearly a good thing because it allows you to tap into every aspect of your audience. Cost-effective solutions – many business owners rightfully worry about their budget, and they do not want to spend a small fortune in order to create a mobile friendly website. Responsive websites are the perfect solution because they are mobile friendly and very affordable. Are you looking for help with responsive website design? 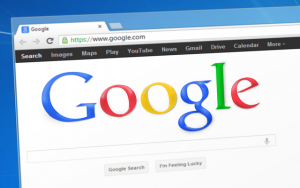 We’d be happy to help with your site so that you are in compliance with Google. Call us to learn more.